This valentine's month, show the world that you're a cut above the rest. 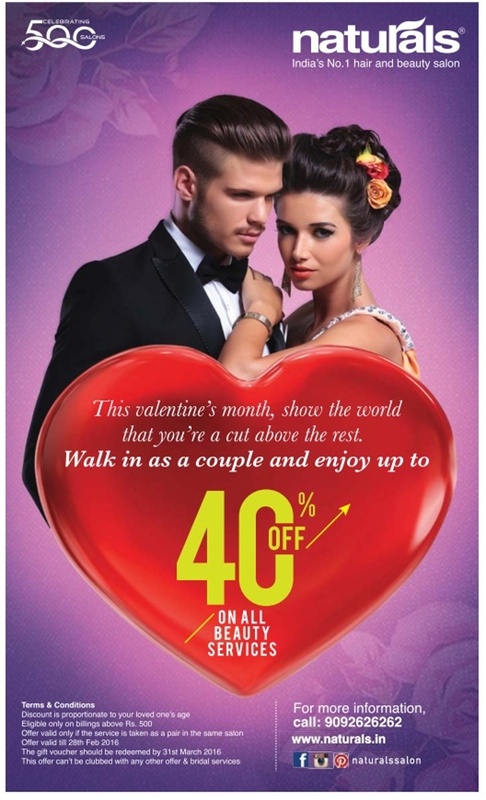 Walk in as a couple and enjoy up to 40% off (discount offer) on all beauty services. For more information: call phone: 9092626262 or visit the website: www.naturals.in. Terms and conditions apply. This offer valid all over India including all metro cities:Bangalore, Hyderabad, Mumbai, Delhi, Chennai, Kolkata, Pune, Kochi, Lucknow and Ahmadabad.